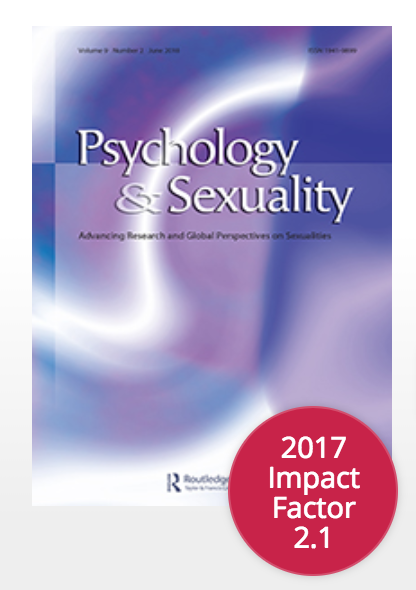 If you participated in the Preaching to the Choir LGBTQ Psychology Pre-Conference at ICAP-CPA 2018, then you are eligible to submit a manuscript to Special Issue #2, to be published in Psychology & Sexuality. In order to be eligible, your manuscript must be based upon a collaboration that grows out of your participation in the pre-conference. This could take shape in many different forms, such as starting a new study with an existing colleague who attended the conference with you, or, digging into old data with a new colleague that you met at the conference. Of course what we really hope you'll do is start a new research study with a new connection that you made at the conference. Special consideration will be given to international collaborations. This page has been created to help facilitate such collaborations. Please feel free to post a brief summary of the kind of research you would be interested in conducting, or respond to others' posts by indicating your interest in collaborating or your related areas of interest. If you are unable to post publicly on this forum, you may email cpasogii@gmail.com and I will put you in touch with the people you are trying to reach out to! Letters of interest including a brief description of your intended collaboration project will be due in January of 2019 and you will then have until December 2020 to complete your research and submit your manuscript. If you are a member of SOGII and would like to have a recent publication posted here, please enter the citation in the form below.